Ever since our comics started, we've decided to launch the series on LINE Webtoon as well. 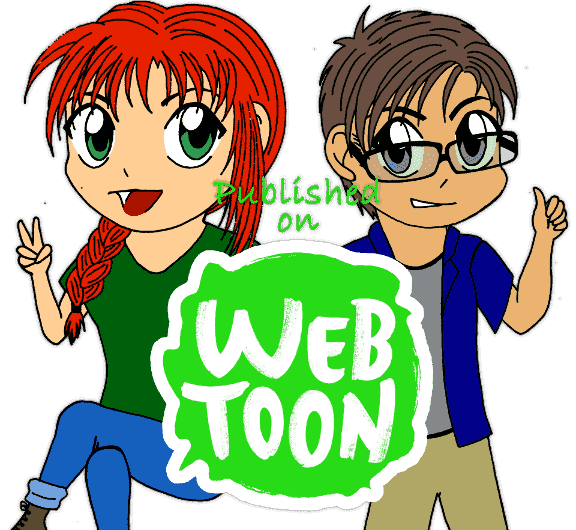 Webtoons (aka: LINE Webtoon) is a web comic distribution platform for artists. Started by Naver in 2004, it has over 520 series of webtoons and broadcasts across the whole world. ...and a whole lot more! Check out what's available! If you're on Webtoons, make sure to follow us to get the latest comics!